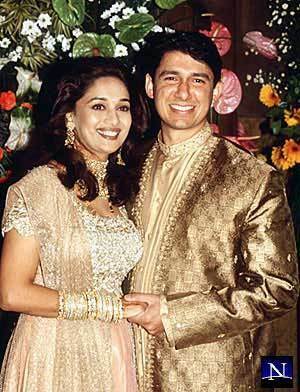 Madhuri Dixit's Wedding. . Wallpaper and background images in the celeb weddings club. This celeb weddings photo might contain bruidsmeisje.